This small Manaia carving is called 'Axe of wisdom' as this Manaia carries an axe that is symbolic of cutting out the root causes of our own suffering. 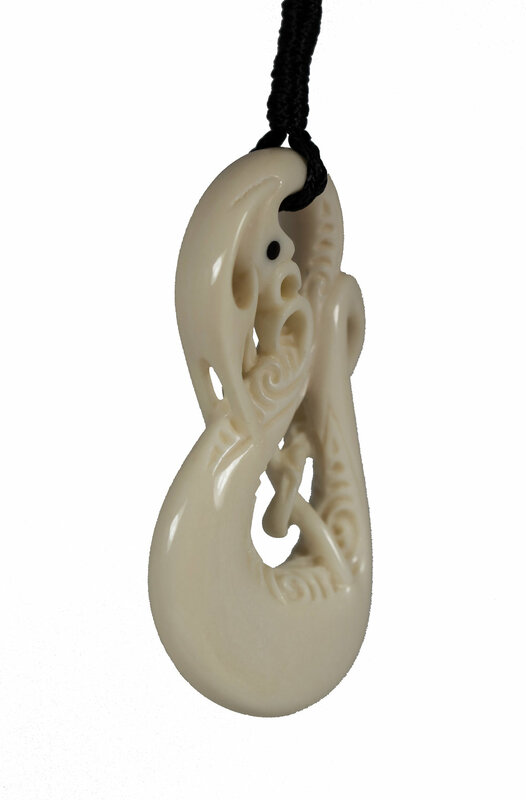 The front of this carving is adorned with five obvious Koru and one subtle one located on the end of ‘the tail’. These represent the cleansing of our senses in the aspect of spiritual awakening. It is through this kind of growth and awakening that our true protection will emerge. The axe itself has three strands that represent the body, speech and mind. It is through these that we have the opportunity to practice spiritual paths that lead to ultimate happiness.